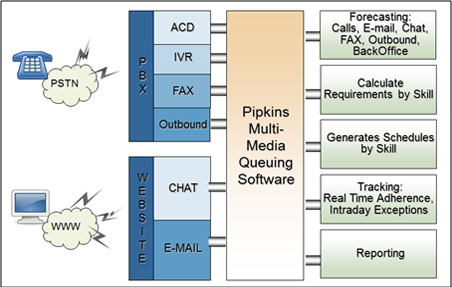 Call center managers at more than 500 sites around the world managing more than 700,000 agents depend on Pipkins products for their workforce scheduling and forecasting needs. Whether you have 30,000 agents or just 30, Pipkins Vantage Point provides the flexibility and advanced technology you need to efficiently manage your contact center. Your scheduling, forecasting, adherence, planning, and reporting needs can all be met with our easy to use and flexible workforce management software solution. Do you have a multi-site, multi-media, skill-based, or other complex environment involving numerous ACDs from multiple vendors and located in different time zones? No problem! Maxima Advantage was designed from the beginning to handle all of these scenarios. The latest generation of our award winning Workforce Management product, Vantage Point, “raises the bar” in workforce management products again by presenting the most easy to use, yet customizable, interface available on the market today. Repetitive tasks are eliminated as Vantage Point “remembers” who you are and what you do. Rather than you learning the software, with Vantage Point the software learns you! Now users can customize the interface and functionality to levels never seen before. Maxima Advantage functionality is second to none in the workforce management industry. True client-server architecture, coupled with the power of an Oracle database and a Windows operating system ensure seamless integration into your corporate environment. The decision in a workforce management product is a critical one. The product must be able to meet the needs of your call center today, and your growth tomorrow. Pipkins products have been designed with the flexibility and customization to handle your future growth. Vantage Point can scale from a single site with tens of agents to a multi-site environment with thousands of agents with a few simple configuration changes. Solutions for today — and years to come. Vantage Point is our premier enterprise product featuring comprehensive scheduling, forecasting, and planning functionality for complete enterprise-wide, front office, back office, multi-site, call center workforce management and performance management. Pipkins understands that details matter with every contact. Pipkins’ premier product, Vantage Point, uniquely handles every contact that comes into organizations, including calls, chat, e-mail, and back office work items. Pipkins utilizes its own state-of-the-art algorithms developed by founder, Dr. James Pipkins. Vantage Point is simply the most accurate forecasting product on the market, enabling companies to solve complex operational issues in today’s multi-faceted enterprise workforce management environments. Featuring comprehensive forecasting, scheduling, and planning functionality for complete enterprise-wide workforce management, Pipkins gives organizations the ability to automate processes and reduce costs. Vantage Point handles standard parameters such as Service Objectives, Average Speed of Answer, and AHT by applying additional variables around busies and Mean Time to Abandoned. This is performed at the at the time step level all the way to 5 minutes, if needed, providing a more accurate staffing requirement. In addition to standard call and handling time, Vantage Point is able to pull in campaigns and apply variables such as the minimum percentage of connected calls to be handled and percentage of attempted of calls that connect. Vantage Point uniquely manages chat by taking into account that multiple sessions can occur at any given time, and inbound and outbound capabilities need to be applied according to how organizations manage their strategy. Additionally, all other Merlang parameters can be applied to ensure optimal chat staffing requirements. In a dynamic chat model, Vantage Point maximizes off-line time for agents to pick up chat during down times. E-mails, which do not typically abandon, need to be considered in staffing parameters. Minimum percentage of requests processed, Average Handling Time, as well as extended Service Objectives (days, hours, minutes) ensure staffing requirements for e-mail work items. Once Merlang parameters have been applied, Vantage Point will apply its unique Sum of Squares algorithms to look at every interval of requirements. Unlike other workforce management systems that utilize a “net to zero” model, which looks at an end of day net to zero staffing line, the more accurate Sum of Squares model looks at every interval of staffing requirements. 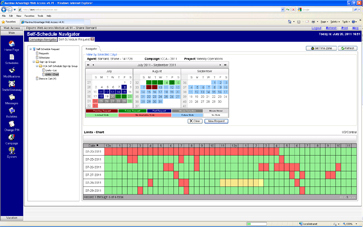 The system then runs continuous schedule scenarios, adjusting for start/stop times, breaks, lunches, etc., until the most optimal schedule for every interval throughout the day is produced. Day-to-day management of organizational activities is critical as unexpected spikes in workloads occur, while staffing changes simultaneously arise. As agents call in sick and meetings occur, organizations are affected, and real time tools are critical to evaluate how daily workforce management goals are being affected. Utilization of Pipkins’ tools, such as the over 100 comparison statistics in reporting, numerous change management tools, and real time views into agent metrics, can ensure that organizations meet their operational goals. Streamlined communications and process automation is critical for organizations to enhance employee morale by providing necessary tools to perform day-to-day tasks. Failure to provide these tools lowers productivity, increases turnover, and churns supervisor time responding to manual requests on a daily basis. The cost is extensive, adding to higher staffing, on-boarding, and administrative costs. Pipkins WebAccess functionality provides productivity tools to agents and supervisors to make their workday easier. The customer journey is one of the most critical things on any executive’s mind today. Providing an exceptional customer experience depends on so many factors – one of the most important being empowering your front line representatives with tools and information to do the best job possible. Real time KPI’s are critical to ensure accurate and up-to-date information. Once KPI’s are received, agents can quickly change measured behavior. Real time KPI’s ensure no delay in communication of information. This is not true in a manual environment where agents often do not receive their KPI’s for weeks or even months later. Pipkins’ Spreadsheet Performance Management streamlines the manual reporting processes, saving hours of time and labor to effectively deliver multiple dashboards and reports needed by management. By communicating real time KPI’s to agent desktops, productivity is instantly improved, hitting typical targets of AHT, Adherence, Contacts, and many others goals by which they are measured. Leverages Smart phone's display and touch controls to deliver remote browser-based access to the full functionality of the WebAccess module, including both the graphic interface and one-click update capabilities. 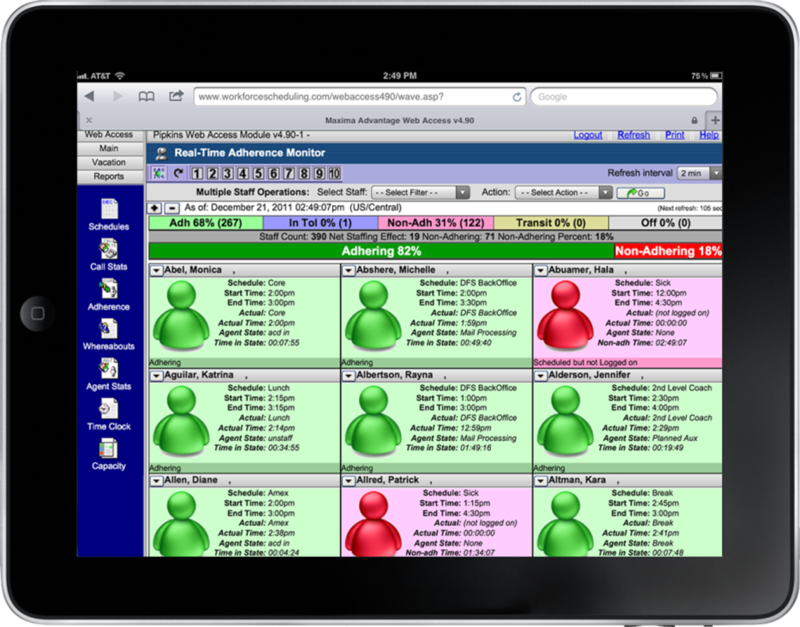 One-click schedule updates from the adherence control panel, eliminating the need to navigate to separate screens to log schedule changes such as late arrivals, sick days or early releases. Users simply click “Schedule” in the non-adhering agent’s square to access a menu of update options. Users can also view agent schedules and send popup and email messages with a click from the same menu. Managing agents throughout the day is a critical component of ensuring operational efficiency in your contact center. As you invest human resources as well as monetary expenses in technology, it’s important that you are getting the most out of these investments. If your agents are not adhering to the optimal schedules delivered by the workforce management system, this will add to losing time and money, taking away from your bottom line. Real Time Adherence is a key ingredient in managing your workforce and delivering industry standard KPI’s, while improving your overall productivity. 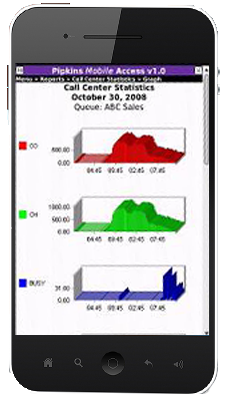 Contact center management can measure and monitor agents real time by comparing their scheduled information to the actual phone states. Effectively doing so will ensure service objectives are met and organizational KPI measurements are delivered for actionable results by the agent and supervisors. Desktop agent adherence has become a critical need in managing your back office personnel. Management now has the ability to look at agents active windows compared their scheduled work in a real time adherence view. Additional reporting can be viewed to display how much time an agent spent in a particular screen (i.e. Facebook, Amazon, work items) to give visibility where the agent is spending their time. 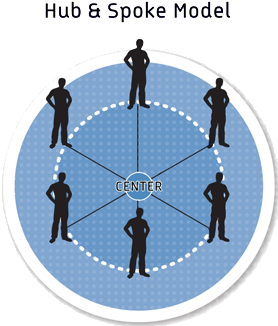 In the multi-site world, management needs to be able to quickly drill down to any center at a given time. Through Pipkins RTA Global functionality, views can be configured any way needed by looking at a roll up of adherence metrics. Drill down capabilities can then be set up by individual site in order to find the root cause of adherence issues. Notifications and alerts are set up to quickly communicate this out, thus providing quick and actionable adherence changes to meet organizational objectives that have been set. As the phenomenon of home shoring continues to grow, Pipkins @HomeVantage provides the capability to monitor real time adherence through its’ Global Supervisor views. Supervisors have a unique challenge in the at home world as they are typically at a higher agent to supervisor ratio. Real Time Adherence provides the ability to quickly see agents that are not adhering to their schedule. 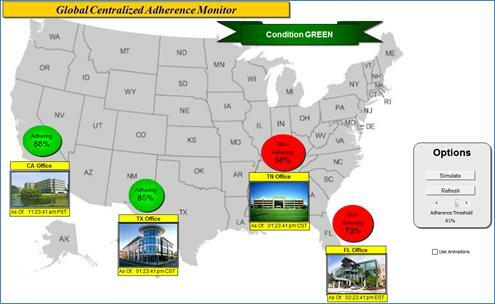 Since the agents are virtual, Desktop Adherence becomes increasingly important as this provides another way for the supervisor to “see” what the agent is doing real time. Pipkins Real Time Adherence capabilities are unique in the industry in delivering operational visibility to organizations. The ability to be flexible to every environment is a critical need to meet workforce management objectives, delivering KPI’s and productivity which ultimately reduces your top line staffing costs. Pipkins’ @HomeVantage gives organizations the ability to effectively manage their agents as the “Home Shoring” phenomenon continues to rapidly grow. Companies want to offer highly skilled employees a flexible work environment, making at-home scheduling even more important. At-home scheduling has been shown to reduce internal infrastructure costs and improve employee morale. Pipkins’ @HomeVantage can be used with Vantage Point, or integrated into another workforce management system to leverage existing technology. Many organizations prefer a “Hub and Spoke” model in which agents begin working in the call center, then after a period of time move to an at-home position within a certain mile radius of the center. This provides flexibility for the agent to come into the center during emergencies, company meetings, or for other activities. Pipkins’ @HomeVantage is easily adaptable to the Hub and Spoke model. Vantage Point schedules both call center and at-home agents. Agents can be part of the “hub” schedule generation process, or build their own schedules by requirements generated by the workforce team. This ensures optimal scheduling to allow at-home agents flexibility to fill staffing gaps. As contact centers become truly virtual with at-home agent models, it is desirable to fully utilize the benefits of the scheduling tool. Pipkins’ @HomeVantage allows virtual agents to pick and choose blocks of time in which they can build their own shifts according to established company rules and staffing requirements. 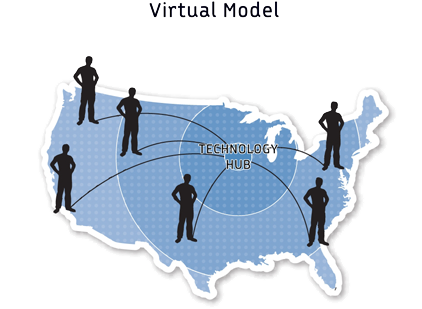 The Virtual Model provides optimal utilization of remote agents to fill staffing requirements based on business needs while improving agent morale and autonomy through use of self service tools. Pipkins’ @HomeVantage provides an easy agent self-service scheduling tool. The agent uses a checkout method for self-scheduling to accommodate staffing requirements based on business needs. The scheduling process ensures rules specific to organizational needs are met, including break and lunch times, hours worked, and any other specific organizational needs. Pipkins’ hosted workforce management utilizes workforce and performance management as well as back office on a single server, architecture, and platform with access anywhere, anytime. Organizations benefit from our enterprise software without high up-front licensing costs, IT expenditures, and being locked into long-term contracts. Our hosted solution offers a quick return on investment as well as the benefits of Pipkins’ proven technology. Pipkins is the only hosted offering for workforce and performance management, as well as back office capabilities, on a single database. Our hosted solution gives companies real-time visibility and process automation without the high capital expenditures and IT costs required by many other workforce management vendors.